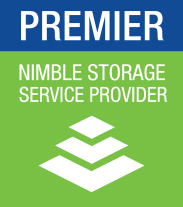 Orange, CA – March 7, 2017 – VPLS, a leading provider of Cloud, Backup and Disaster Recovery Solutions, today announced it has been awarded Premier status with the Nimble Storage Cloud Service Provider Program. Nimble Storage is the leader in predictive cloud infrastructure, giving businesses the fastest, most reliable access to data. The Nimble Storage Predictive Cloud platform offers predictive analytics combined with flash storage to radically simplify IT operations in the data center and in the cloud. VPLS has been a committed Nimble Storage customer and partner since 2012 with VPLS Solutions systems integration practice recently achieving Gold status. VPLS offers a unique Nimble Storage Replication as a Service offering which allows our customers to replicate their Nimble Storage data to VPLS’s Nimble arrays in geographically diverse data centers located in El Segundo, CA, Phoenix, AZ and Ashburn, VA. VPLS also has the capability for customers to spin up their Virtual Machines (VM) in the event of a disaster with 30 minute SLA’s per VM. Over 10,000 customers use Nimble for their on-premise private clouds, SaaS and managed services. The Nimble Predictive Cloud platform allows businesses to deploy workloads flexibly on flash arrays, converged infrastructure and public cloud, without fear of lock-in. Nimble All Flash and Adaptive (Hybrid) Flash arrays deliver a consolidation solution with common data services. Any combination of All Flash and Adaptif Flash arrays can be seamlessly clustered and managed as a single entity. Nimble InfoSight Predictive Analytics (included with all arryas) anticipate and prevent issues across the infrastructure stack, and have helped Nimble achieve greater than 99.9999% availability. VPLS Inc, is a worldwide leader in dedicated, cloud and managed services, hosting well over 15,000 servers and 5,000,000 websites. Our hosting brands are ranked in the top 2000 websites in the world and top 300 in China and South Korea. VPLS’s portfolio of products and services covers all aspects of the Internet such as Infrastructure as a Service Public and Private Cloud deployments, Backup and Disaster Recovery Solutions, Networking, Security, Storage, Web Design and Development and much more. Through our services division, VPLS Solutions, LLC., we’re able to combine best in breed technologies from vendors such as Brocade, Fortinet, Palo Alto, Nimble Storage, VMware and Supermicro to power our services and solutions. VPLS’s unique background and history set us apart from other technology solutions provider in that we use whatever we sell. Our engineers have first-hand experience on the products they are selling and servicing.